Who wants to come over and slide on my floor? Because you can do that now! There will be lots of “Kramering” going on at my house. 😉 Those of you who don’t know what that is, don’t ask! Here are some before, during and after pictures of the installation. I didn’t do great with the before pictures because we had already moved stuff out of the way before I thought about it. Overall, we are satisfied with the outcome. It was a little rocky at first. 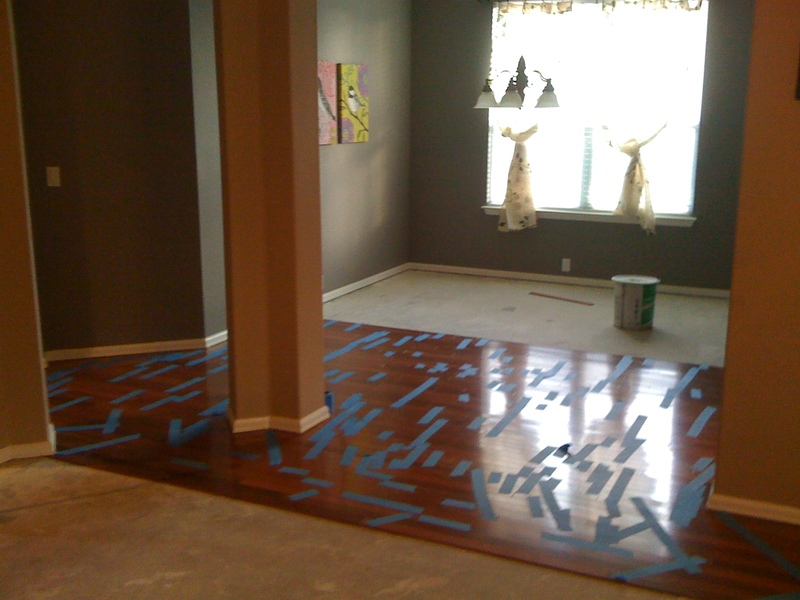 We suggest going with a local company with local wood over going with Lumber Liquidators. Yes, the wood was less expensive, but we had a few problems with the size and thickness of each plank matching up properly. 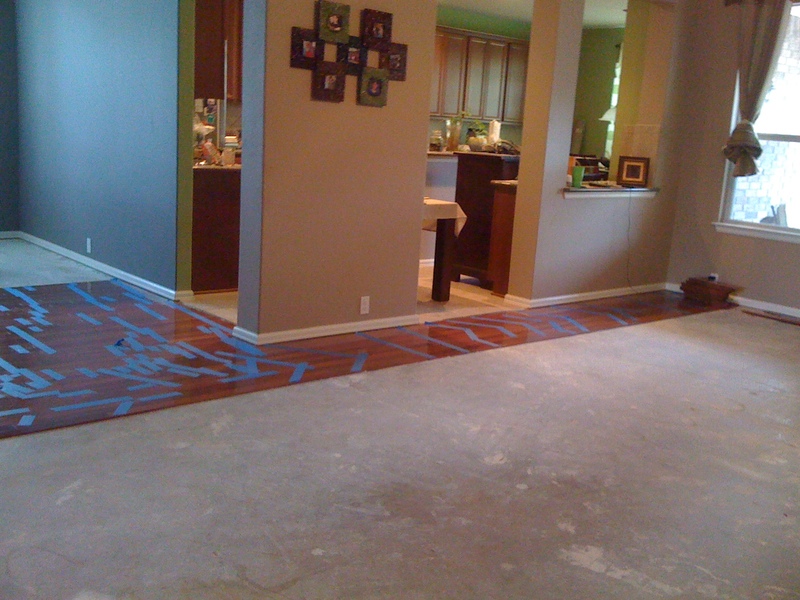 Also, be sure to hire installers who only do hardwood floors. That is the one thing we did right! 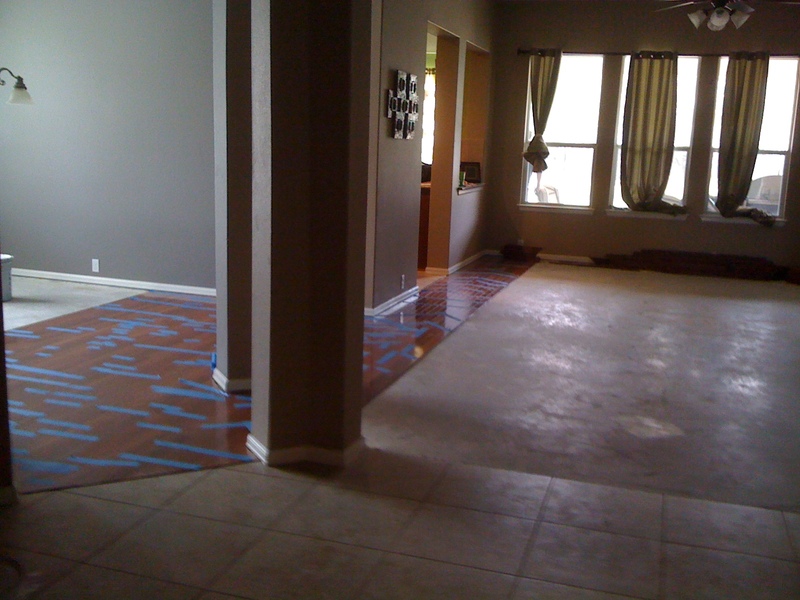 If not for the company we hired, we’d probably be spending double the cost of our floors in the near future on repairs. We paid a little more for very knowledgeable people, and it was so worth it! Okay, now the pics…. « My thumb is greener than I thought! Looks good deary!!! Brian doesnt like the high gloss and think jeep will scratch them…lol. What a doody i married…lol!! Cant wait to beat younat your contest….better start practicing. Yay!!! As soon as we find a used car we are road trippin 😀 Awesome job! Katrena- What a negative nancy your husband is! It looks glossy because of the flash on the camera, and Jeep won’t scratch them. That is why we bought solid hardwood. It’s more durable, and we just have to keep his nails trimmed. Mom- I love seeing the orbs! The big blue one is there again. I am convinced that one is Justin because it’s in every picture! We had several smaller orbs too that we think are Derrick’s grandparents. You’re gonna love it. I don’t think Jeepers will hurt it, he’s pretty laid back. The new leather couch will look fab on it toooooo, yessm.